We have listed various solutions for different problems home owners encounter. Scroll below to find best solution for your needs. Finding a durable flooring solution while being chemical, spills and stain resistant is very tough. Not every flooring is perfect, but compared to an average floor, epoxy floors are elegant and bright. Their surface is smooth and easy to maintain It is fairly easy to clean it up because rarely anything sticks to it. They can be installed directly over concrete and other flooring types, which makes installation costs a bit lower than the others. which makes them a great fit for your garage, basement or other place you have in mind. Two coat partially broadcast color flakes including one coat %100 solid epoxy, partially broadcast color flakes and one coat clear polyurethane as the top coat. Flakes size and can be 1/16″, 1/4″ or 1/2″. Other sizes can be available upon Customer needs but the above sizes are the most regular ones. One of the areas that are being used for, living, storage or recreation is basements. Most of the people complain about flood, moisture and mold. 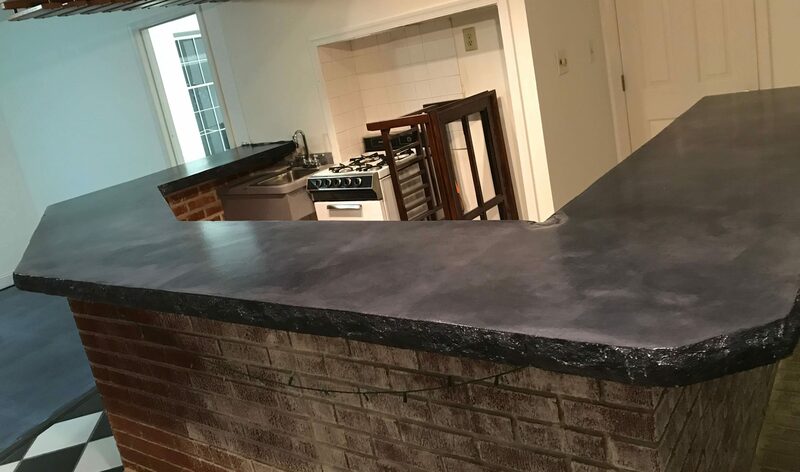 Epoxy systems or concrete stain and sealing are very easily cleanable, seamless and will be beauty and you can have your unique place which you will never see anywhere else. Patios, walkways, driveways and pool decks, are exterior areas in the residential houses that not only saves the old concrete from more damages, it will add more beauty to the house. Send us any questions that you have and we will happily respond as soon as possible! We are a growing company in Northern Virginia with over 20 years of experience. Our goal is to make our customers happy by providing affordable and high quality services.